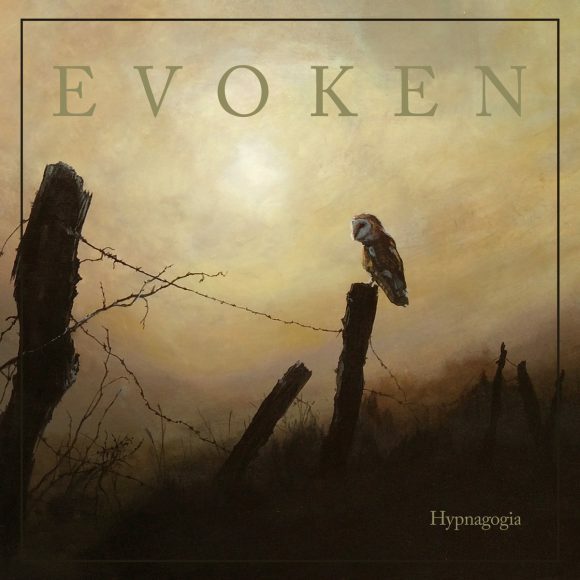 Details: EVOKEN’s latest album, Hypnagogia, features a barn owl in a hazy setting. The New Jersey metal band chose World War I as the theme for the songs. One song’s titled “Schadenfreude,” and another is called “Ceremony Of Bleeding.” The title track takes its name from that also hazy moment right between being awake and falling asleep. Adam Burke, who created the cover’s design, is a Pacific Northwest-based artist. Go have a look at his work! Written by: Dagmar on 11/24/2018.on 01/29/2019. This entry was tagged adam burke, cool cover, posted by dagmar. Bookmark the permalink.